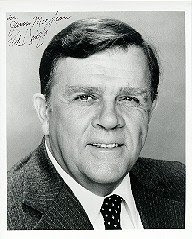 Pat Hingle, the veteran actor with more than half a century of impressive work in theater, film and television who was perhaps best known to a generation of movie fans as Commissioner James Gordon in the first four "Batman" films, has died. He was 84. Hingle died Saturday night of myelodysplasia, a type of blood cancer, at his home in Carolina Beach, N.C., according to Lynn Heritage, a cousin who was acting as a spokesperson for the family. He wasn't a household name, but his solid, broad, hang-dog screen face became a household image. On film, he worked with stars ranging from Clint Eastwood to the Muppets. He was Sally Field's father in "Norma Rae" and Warren Beatty's in "Splendor in the Grass." He played the bartender who needles Marlon Brando about his former prize-fight style in "On the Waterfront," and he was the sadistic crime boss who terrorizes Anjelica Huston with a bag of oranges in "The Grifters." Hingle had an illustrious Broadway career and was in the original casts of some of the great plays in American theater, including "Cat on a Hot Tin Roof," "The Dark at the Top of the Stairs" and "J.B."
James Morrison, the actor who is best known now for his role as Bill Buchanan in the television series "24," was a friend of Hingle's and worked with him in a 1983 production of "Cat on a Hot Tin Roof" at L.A.'s Mark Taper Forum. "Only a chosen few had the body of work that he had," Morrison told The Times on Sunday. "The reason he stands out is that he had the humility and ease that made acting look easy." Hingle was born Martin Patterson Hingle in Miami on July 19, 1924. He'd had one semester at the University of Texas when World War II broke out. He entered the Navy and served as an enlisted man on a destroyer in the Pacific. After the war, he returned to college but switched majors after observing that every pretty girl he saw was headed toward the university's theater department. Over the next three years, he did 35 plays and found himself more comfortable in the theater than anywhere else. He said two actors were responsible for his deciding to become a professional actor. "There were the Gary Coopers and the Clark Gables, but they didn't really appeal to me," he told the Washington Post some years ago. "But in three weeks' time, I saw Walter Huston (Anjelica Huston's grandfather) and Hume Cronyn in about 10 movies and I saw that it was possible to play a wide variety of roles where there was no connections between one or the other; they weren't put in a slot . . . I saw what was possible." After graduating in 1949, Hingle moved to New York and studied acting with Uta Hagen at Herbert Berghof Studios. He later was accepted into the prestigious Actors Studio. His break came in 1955 when Elia Kazan, one of the co-founders of the Actors Studio, cast him as the scheming son Gooper in the original Broadway production of Tennessee Williams' "Cat on a Hot Tin Roof." Two years later, Kazan cast him in William Inge's "The Dark at the Top of the Stairs," which became a major Broadway hit and earned Hingle a Tony Award nomination. A year later, Kazan once again helped him land a role as the title character in "J.B.," the Archibald MacLeish play about the life of Job that won both a Tony and a Pulitzer Prize in 1958. Hingle was also in Arthur Miller's "The Price" in 1968. He earned rave reviews in "J.B." and was offered the title role in the film "Elmer Gantry," but then tragedy struck. Several weeks into the play's run, Hingle became caught in a stalled elevator in his apartment building. He lost his balance while trying to crawl out and fell 54 feet down the shaft. He sustained massive injuries, including a fractured skull, wrist, hip and leg, and several broken ribs. He also lost his little finger on his left hand. Hingle spent much of the next year relearning how to walk, and the Gantry role went to Burt Lancaster. "I know that if I had done Elmer Gantry, I would have been more of a movie name. But I'm sure I would not have done as many plays as I've done," he later told the New York Times. "I've had exactly the kind of career I hoped for." Over the next 50 years, Hingle fashioned a career as a top supporting actor in film, television and theater. His TV credits include "Twilight Zone," "The Untouchables," "Route 66," "Gunsmoke," "The Fugitive," "Mission Impossible" and "Hallmark Hall of Fame." On television he's played J. Edgar Hoover, former House Speaker Sam Rayburn, Col. Tom Parker (Elvis Presley's manager) and, in the miniseries "War and Remembrance," Adm. William F. "Bull" Halsey. On the big screen, his films include "Hang 'Em High," "Sudden Impact" and "The Gauntlet" with Eastwood, as well as "Muppets From Space." He and Michael Gough, who played Alfred Pennyworth, were the only two actors to appear in the first four "Batman" films. To the end, Hingle preferred being in the theater. "The stage is an actors' medium," he told The Times some years ago. "When the curtain goes up, there are those crazy actors. The story comes through them. The director can pull his hair in the back of the house and the producer and the playwright can cry on each other's shoulders. But there go those galloping actors." Hingle's friend Morrison recalled him Sunday as a "great listener." "The great actors have this and he taught me this. . . . You were the most important thing when you worked opposite him. He was present, right there, in his life and in his work. He was the most authentic man I've ever met." Hingle is survived by Julia, his wife of 29 years; five children; 11 grandchildren; and two sisters. Which came first, black holes or galaxies? How Long Will the Greatest Depression Be? Who is Jeff Kathrein, Jett Travolta's nanny? How odd can it be?